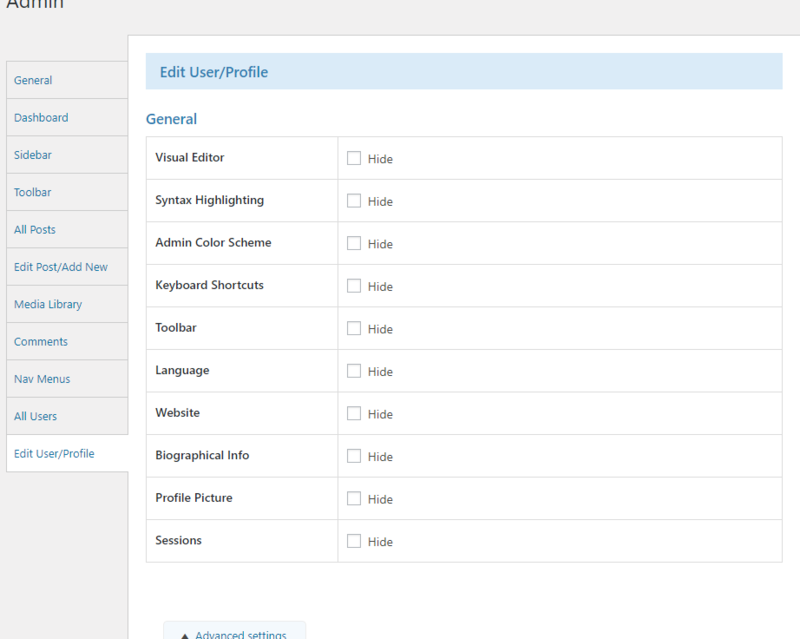 How to customize admin User Edit / Profile screen. You can be able to hidden the some items of WP core. 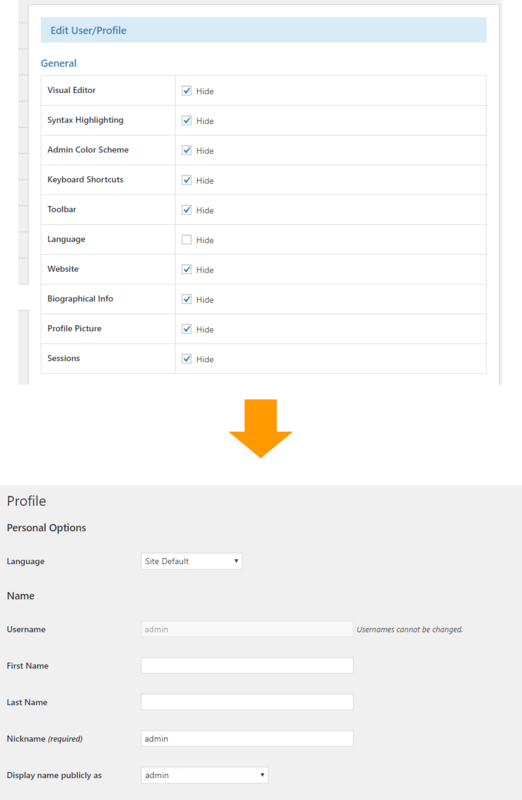 Advanced settings can be customize if you have contact method profile items.